Because of the positive responses — both online and offline — to my first set of notes, I have decided to continue the series until I have completed Moses the Egyptian. Then we will discuss Assmann’s subsequent books: The Price of Monotheism, Of God and Gods: Egypt, Israel, and the Rise of Monotheism, Religio Duplex: How the Enlightenment Reinvented Egyptian Religion, and the forthcoming From Akhenaten to Moses: Ancient Egypt and Religious Change. I have decided to dub this project the Assmann Seminar, although I may in the future branch out to deal with other related authors. In chapter 3 of Moses the Egyptian, Jan Assman moves from antiquity to the 17th century, examining the writings of English Hebraist John Spencer (1630–1693) and Cambridge Platonist Ralph Cudworth (1617–1688), both of whom managed to reconstruct true elements of Egyptian ritual and theology without any knowledge of the Egyptian language based entirely on deft readings of Biblical and Greco-Roman sources. The Bible claims that Moses was educated in the esoteric wisdom of the Egyptians, and Spencer and Cudworth aimed to unveil it. In the 15th century, a renewed interest in Egyptian religion was sparked by the reintroduction of two works from late antiquity: the Corpus Hermeticum (a collection of Greek and Latin texts from the 1st and 2nd centuries CE purporting to reveal elements of Ancient Egyptian theosophy) and the Hieroglyphica, an exciting but mostly false treatise on hieroglyphics attributed to Horapollo, a 5th century CE Egyptian priest whose temple to Isis and Osiris was destroyed by Christians, who forced him under torture to “convert” to Christianity. The Hermetica were thought to present the esoteric wisdom of the most ancient Egyptians, predating the time of Moses. In 1614, however, classicist Isaac Casaubon (1559–1614) proved that the Corpus Hermeticum was a product of Greco-Roman antiquity. This was an easy and rather obvious task, of course, since the Hermetica are written in Greek and Latin. But even though the ideas in the Hermetica could be much older than their Greek and Latin presentation, Casaubon nevertheless undermined the widespread conviction that the Hermetica contained doctrines that predated Moses. 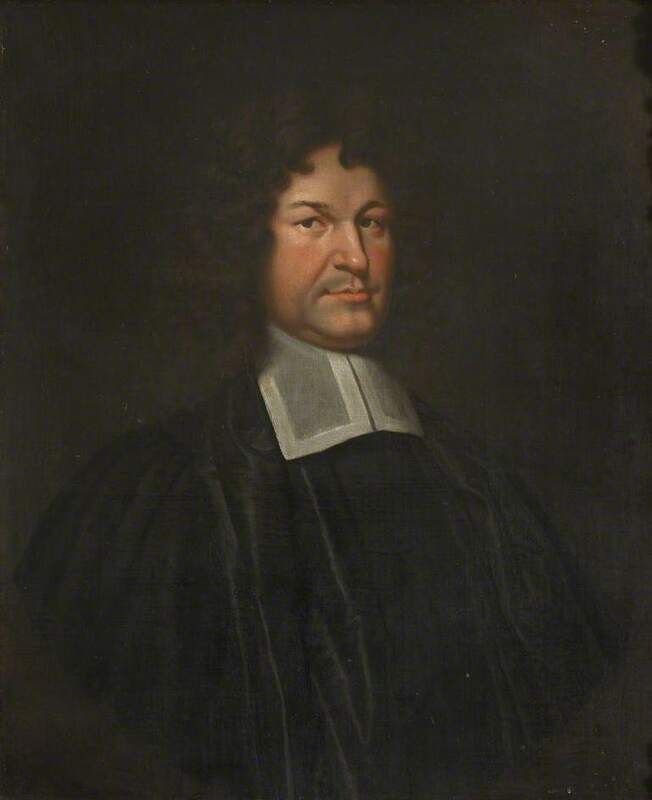 In the 17th century, however, both John Spencer and Ralph Cudworth took up the task of reconstructing Egyptian religion, Spencer focusing on its exoteric, ritual aspects, Cudworth on its esoteric theological and philosophical teachings. Based on his reconstruction of Egyptian theosophy, Cudworth showed quite convincingly that the Corpus Hermeticum contains the same doctrines. The most exciting aspect of this chapter is that Assmann, one of the leading Egyptologists of our time, actually argues that Spencer and Cudworth and their many sources from late antiquity were essentially correct. Even though they had no knowledge of the Egyptian language, their views correspond closely to Egyptian texts of great antiquity, proving the existence of a genuine tradition that conveyed Ancient Egyptian theosophical teachings through Greco-Roman antiquity to the modern world. In this set of notes, I will deal with Spencer. In the next installment, I will discuss Cudworth. John Spencer was an English Hebraist and Master of Corpus Christi College, Cambridge. In 1685, he published a three-volume work, De Legibus Hebraeorum, Ritualibus et earum Rationibus (The Hebrew Laws, Rituals and Their Rationale). Spencer’s approach to understanding the ritual law was historical. According to Christian teaching, the first Ten Commandments were of eternal value, but the 603 commandments that followed them were relative to the Old Covenant and thus suspended by Christ’s New Covenant. Spencer, therefore, felt entitled to explain the ritual law by relativizing it to its historical context. In so doing, Spencer created a work that pioneered modern Egyptology and comparative religion and accurately reconstructed elements of Egyptian religion. Assmann also argues that Spencer anticipated Johann Gottfried von Herder’s idea that particular cultural achievements must be understood in terms of the overall historical-cultural “Zeitgeist,” even coining the Latin equivalent genius secoli (p. 71). Spencer’s thesis was that the ritual law of the Hebrews originated from the Ancient Egyptians in two ways. Many ritual laws were arrived at by the “normative inversion” of Egyptian religion, meaning that the Jews simply profaned what the Egyptians called sacred, for instance, sacrificing rams (the sacred animal of Amun) and bulls (the sacred animal of Osiris). 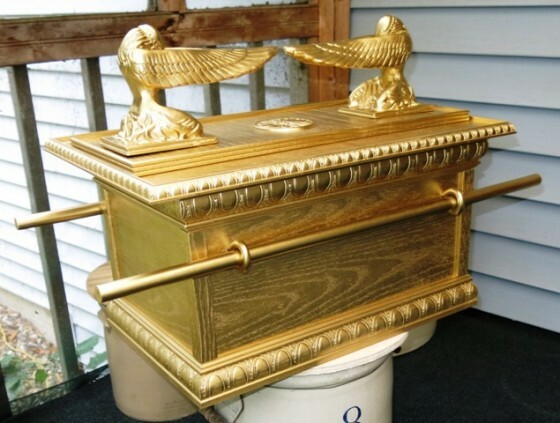 Certain ritual implements, such as the Ark of the Covenant, the cherubim, and the breastplate of the High Priest, were simply adapted from the Egyptians. Assmann argues that Spencer’s approach was influenced by the medieval Jewish philosopher Moses Maimonides (1135–1204), who in his Guide of the Perplexed sought to offer a rational explanation of the Hebrew ritual law by contrasting it to the pagan “Sabians,” a historical name of a little-known people appropriated by Maimonides for a fictional pre-Mosaic polytheistic religion, the tenets of which Maimonides constructed by taking the Jewish law as a normative inversion of Sabian law. Spencer replaced the Sabians as the “ideal type” of polytheism with the historical Egyptians. The sacrifice of the paschal lamb is a profanation of the sacred animal of Amun, the ram. The earliest known version of this interpretation is found in Tacitus. The prohibition against “seething the kid in its mother’s milk” was based on the normative inversion of a fertility rite employing just such a ritual. It is not clear if there was actually an Egyptian version of this rite, but a version did exist in Spain. Kids were cooked in milk not to eat, but to sprinkle the milk on trees and the earth to promote fertility. The prohibition on mourning while offering the first fruits of the harvest to God refers to the Egyptian rite of mourning Osiris, the god whose death fertilized the earth, who is resurrected in the crops, and who thus must be remembered in the harvest. According to Spencer, the primary purpose of such normative inversions of the ritual law was not merely the desire to profane Egyptian rites out of hatred, but rather to construct a new and distinct national identity by breaking the Israelites’ ties to Egypt. The strength of these ties was indicated by the episode of the Golden Calf, which was an image of the Apis bull, the sacred animal of Osiris. Moses not only destroyed the Golden Calf, but ordered the massacre of 3,000 of its followers — not including his brother Aaron, who made the calf in the first place. Then came the ritual law, with its normative inversions of Egyptian rites. Spencer is ingenious in explaining why the ritual law inverts some Egyptian rites while preserving others. He illustrates his basic approach by quoting Isidore of Pelusium (5th century CE): “. . . there is only one single legislator of both the Old and New Testaments, who gave the laws wisely and with respect to temporal circumstances” (quoted in Assmann, pp. 70–71). The ritual law has to be understood in relation to historical circumstances. Normative inversion was applied to essential traits of the Egyptian religion, namely the gods, in order to wean the Israelites away from them. But in order to make the new religion visible and intelligible to the people, it was permissible to retain certain external Egyptian trappings, suitably translated into the new context. Both approaches appear wise in light of both the historical context and ultimate aim of Moses’s legislation. One of Spencer’s central concepts is “accommodation.” The basic idea is that our receptivity to ideas is conditioned by our historical situation, level of knowledge, innate faculties, etc. Thus, if we wish to communicate a teaching, we must “accommodate” it to our audience. Accommodation can take place “horizontally,” between cultures, a process that Spencer calls “reception” and “translation” from one culture to another. And accommodation can involve the “vertical” process of “enculturation,” whereby objective truths (including divine revelations) become intelligible to a people by taking on existing cultural forms. With the Ark and the cherubim, the new religion accommodates itself to the people, “enculturating” its message in a concrete form that is “translated” from Egyptian culture. The exoteric/carnal meaning is accommodated to the senses and the material world and has the temporal aim of curing the people of idolatry, separating them from Egypt, and imparting a distinct national identity and consciousness. The esoteric/spiritual meaning is to transmit universal truths to those who are capable of understanding them. Both Jews and Christians accept the idea that the law has an inner meaning. Jews claim that the inner meaning of the law consists of “celestial truths” about heaven. Christians claim that the inner meaning of the law, and the Old Testament in general, consists of adumbrations of the life of Jesus. Spencer claims that this dual account of truth is Egyptian in origin, and he offers quotations from Plutarch, Origen, and Clement of Alexandria in support. Plutarch: “[The Egyptians’] sacred rites do not institute anything dissonant to reason, anything fabulous, anything smelling of superstition, but they contain in their recesses certain ethical and useful doctrine of philosophical or historical insights” (p. 78). Clement: “. . . all theologians, barbarians and Greeks, concealed the principles of reality and transmitted the truth only by means of riddles, symbols, allegories, metaphors, and similar tropes and figures” (p. 79). Spencer thus concludes that it is appropriate “to hold that God gave the Jews a religion that was carnal only in its frontispiece, but divine and wonderful in its interior in order to accommodate his institutions to the taste and usage of the time lest his Law and cult should seem deficient in anything transmitted in the name of wisdom” (p. 79). Spencer also states: “The Egyptians indicated the really sacred logos, which they kept in the innermost sanctuary of Truth, by what they called Adyta, and the Hebrews by means of the curtain [the veil of the temple]. Therefore, as far as concealment is concerned, the secrets of the Hebrews and the Egyptians are very similar to each other” (p. 79). This is a highly ambiguous statement, for if secrets are “very similar” just insofar “as concealment is concerned” that leaves open the possibility that very different secrets are concealed. But Spencer’s language hints that maybe the secrets are very similar. Perhaps even identical. In other words, another form of the “transcendent unity of religions” thesis. This idea was promoted by Spencer’s readers in the 18th century, again with the aim of undermining the intolerance of Biblical monotheism. But it founders on the same intellectual incoherence as other attempts to rope Biblical monotheism into a larger, more tolerant pluralism: one can claim that Jewish religion is the same as Egyptian religion only by rejecting as false the Jewish God’s claim to be the one true God. Published: July 7, 2014 | This entry was posted in North American New Right and tagged articles, Assmann notes, book reviews, cosmotheism, Egypt, esotericism, Greg Johnson, Jan Assmann, John Spencer, monotheism, Moses, Moses Maimonides, Moses the Egyptian, North American New Right, originals, paganism, philosophy, polytheism, Ralph Cudworth, religion, religious tolerance, the Assmann seminar, Traditionalism. Both comments and trackbacks are currently closed. I’ll add it as a constant reminder. What do you think of Savitri Devi’s Akhenaton now Greg? Thanks for your articles. I need to give it some thought. Fascinating stuff and this is of course true because one borrowed from the other. 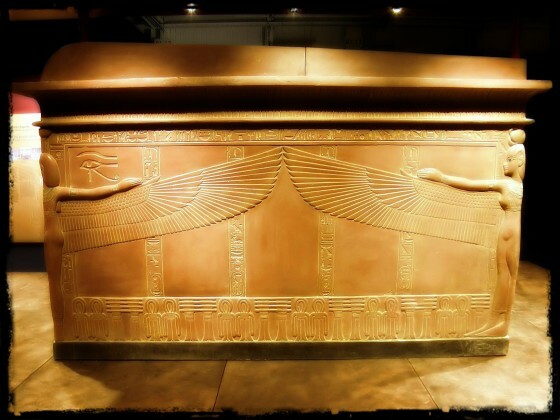 Originally, it seems that the purpose of the ‘Ark of the Covenant’ was a symbol of the contract between the priestly-Aryan bloodlines that ruled Ancient Egypt with what this caste perceived as the gods. This principle became warped under monotheism, and we have the ‘Ark of the Covenant’ between Moses, Yahweh, and the Israelites. The same veneration of law, as a supernatural ordering force, was found in Druidism, Hinduism, and Roman society. Not to nitpick over minutiae, but do we have any actual evidence that the Ancient Egyptian aristocracy was in any way/shape/form Aryan? I hear this claim made constantly. It seems to me tough to swallow, as the Egyptians spoke a Hamitic language and appear to be very un-Nordic looking in the hieroglyphs and other pictures. I know people often mention the red hair of Ramses’s mummy, which I still don’t find conclusive enough of any Aryan origins. I know that at times Egypt may have been temporarily ruled by Aryan conquerors, i.e. Persians, Greek, Hittites (? ), but was Menes/Narmer himself a blonde, fair, blue-eyed Aryan warrior? Someone please point me in a direction wherein I can see evidence. Thank you. The Egyptians were not Aryan/Indo-European/Nordic people. By all evidence, the Egyptians were a brunette, Mediterranean people. Egypt was already a very old civilization when the first Indo-Europeans appeared in the Mediterranean region. In the New Kingdom, some of the Pharaohs married Mittanian and Hittite princesses, who spoke Indo-European languages and were probably of substantial Indo-European stock. And in the Third Intermediate Period, Egypt was ruled by Lybian dysnasties who seem to have been tall, fair-skinned, and perhaps fair-haired peoples (possibly related to some fair Berber relict populations in Morocco). But these were not real Egyptians.